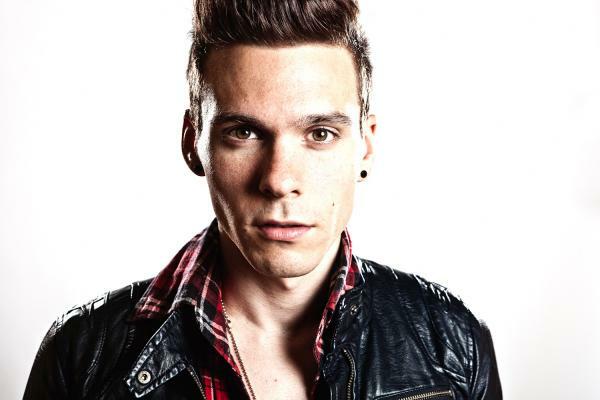 DJ Matthew Koma at Chaos Nightclub - Hello! Welcome to my blog! MAY-hem! DJ Matthey Koma and other top international DJs electrifies the metro party scene at Chaos Nightclub in City of Dreams Manila this May. The headline this may, electronic dance music heavyweight Matthew Koma comes to City of Dreams Manila for the first time on May 27 for a live DJ performance of his global chart-topping dance tracks at the integrated resort’s trendsetting nightclub, Chaos Manila. DJ Koma will be spinning Grammy award-winning tracks and some of the world’s most popular dance hits including “Clarity” and “Spectrum” – his collaborations with the phenomenal EDM artist Zedd. He's also part of the hit songs of the who’s who in EDM from Alesso to Tiesto, to Hardwell, to Giorgio Morder, and he recently worked with Britney Spears' ninth studio album. Koma will impress Manila’s partygoers with his inimitable brand of music after an extensive tour throughout North America and Europe with artists like LMFAO, Charlie XCX and Ellie Goulding. Matthew broke into the dance music scene in 2010, and has since worked with topnotch DJs and producers currently dominating the industry such as Alesso, Hardwell, Sebastian Ingrosso, and Tiesto. His claim to fame was his collaboration with Zedd for “Clarity”, which won the Grammy for Best Dance Recording in 2012. The song, which Zedd co-wrote with Matthew Koma, Skylar Grey, and Porter Robinson, climbed to No. 8 on the Billboard Hot 100. Two other collaborations with Zedd in the latter’s 2012 “Spectrum” album – “Find You” and namesake track “Spectrum” – topped the Billboard US Dance charts in the same year. “Wasted” with Tiesto, and “Calling (Lose My Mind)” with Sebastian Ingrosso and Alesso, from 2012 to 2014. Matthew continues creating epic dance anthems as he circles the globe, headlining music events and keeping partygoers on their feet. Also set to blaze Manila’s club scene with fiery DJ performances this May at Chaos, are electro and progressive house artists DJ Rosh and ZenNeuro for the ‘One Night in Amsterdam’ World Tour and New York-based duo TWRK playing hard-hitting hip-hop, trap, and dubstep tracks slated to perform on May 14 and May 28, respectively. Kicking up the energy up a notch for the club goers are the electro house group Vinai, ranked as the 43rd Top DJ of DJ Mag’s Top 100, on June 3. Ticket price is at PhP 1,000 each inclusive of one drink. For ticket inquiries and reservations, please call SM Tickets at 470-2222 or visit www.smtickets.com. For Chaos VIP table reservations, guests can call 0917-8863678 or go to www.chaosmanila.com.